Costume dramas: A hospital gown and a sailor suit. | theraceforthecafe.com . Costume dramas: A hospital gown and a sailor suit. The May bank holiday Criterium at Middlesbrough Cycle Circuit. Since coming back from the Tour ta Malta (see my last two posts) my form has been pretty good (for me) no chance of a podium spot mind, but I had finished just outside the top ten in a couple of races for the first time in a few seasons. 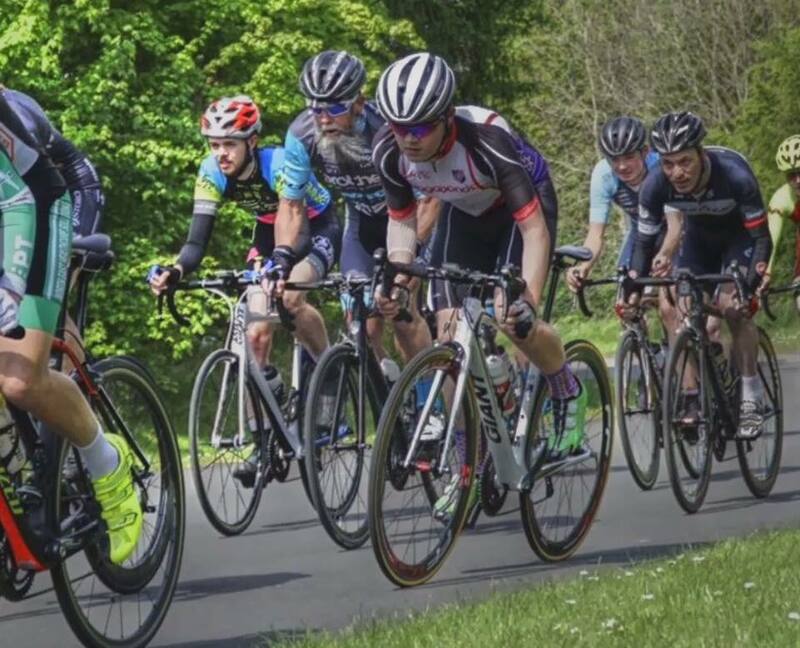 When the picture above was taken I was comfortably placed in the bunch and feeling as if I might even break into the top ten, but a couple of laps later a touch of wheels in front of me caused several riders to go down. I managed to flick on to the grass and avoid the initial crash and I was just starting to think I had got away with it when as I rejoined the circuit and still going quite quickly I ran in to the back of a stationary rider (sorry Rick). I came to a very sudden stop and went over the handlebars landing on my back - ouch! After the crash I managed to get back on and finish the race and then painfully ride home, but by the time I got back the adrenalin had started to wear off and I began to think I had done some damage. I went straight to A&E as soon as I got home and I was seen quite quickly. There was nothing apparent on the X rays and just soft tissue damage was the verdict, so that was relief. 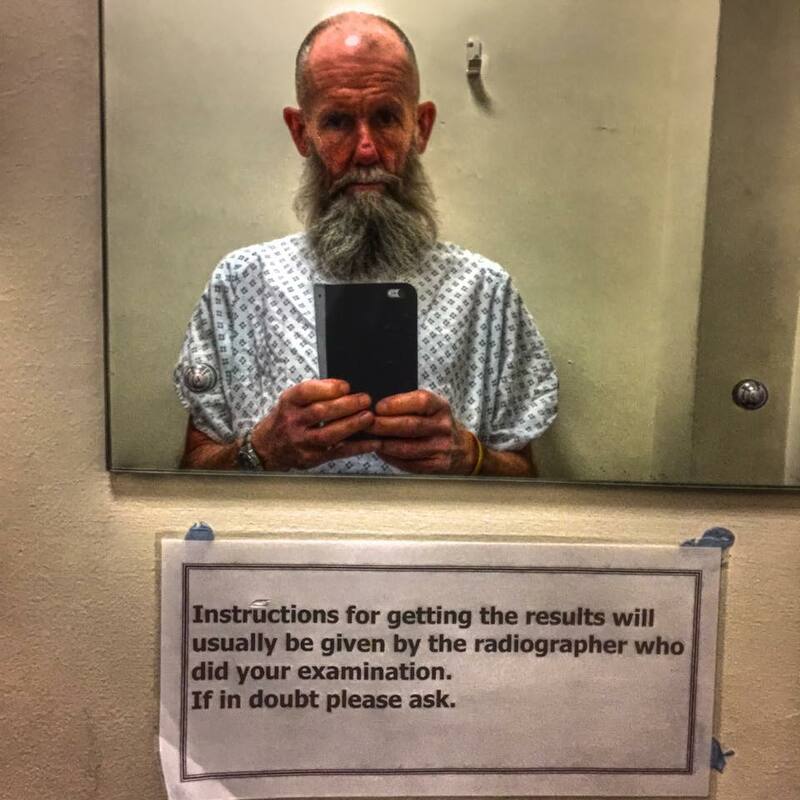 Unfortunately after three days the pain was getting worse so I was reluctantly sent back to A&E (by the Boss Mrs R) and had chest X Rays and a very thorough examination along with an ECG - no issues. Muscle damage was the diagnosis and I was given a prescription for some anti-inflamatory medication but I was still feeling pretty sore - TO BE CONTINUED. This will read as if I am going off on a complete tangent - but if you persevere and get to the end it will sort of make sense. Regular blog readers will know (and are probably sick of reading) that I recently completed a PhD at at Teesside University. It was four years of hard work and the last 18 months of writing my 325 page thesis were particularly tough. So I have been thinking for a while that I wanted a change from academia. 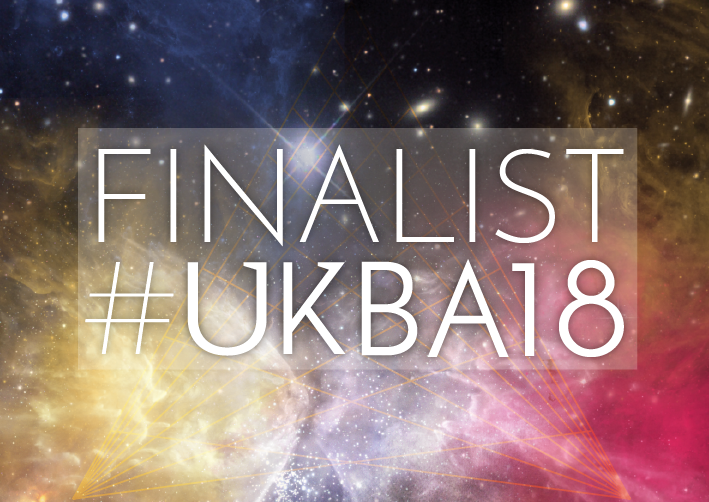 I fancied doing something completely different that was a bit more fun than theoretical sociology (which is partly why I started this blog) - but what should I do? I quite liked the idea of trying something a bit more creative, problem is I have no artistic aptitude what so ever, can't draw and the only painting I can do is with a roller and an emulsion tray. I have always thought it would be really nice to be able to play a musical instrument, but I am not sure I have the patience to learn. Then I thought; what about acting? that might be interesting and a bit of fun. One thing that I have always been pretty good at is bluffing my way through situations when I basically didn't have a clue what I was doing - how do you think I managed to get my Doctorate? so acting sounded like a good option. I have never done anything remotely similar but decided to give it a go, I mean how hard can it be? 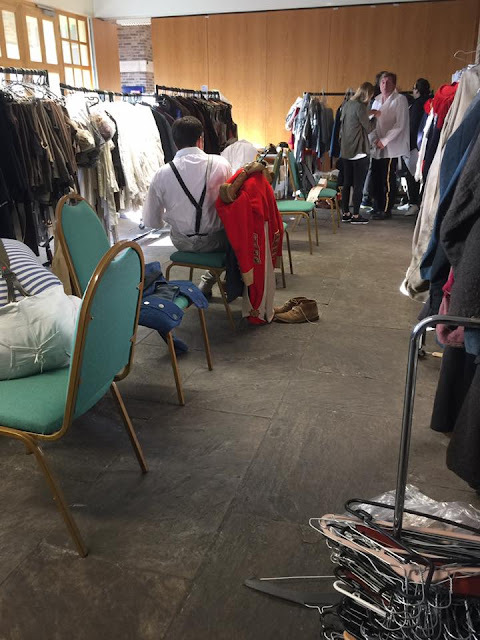 I contacted a couple of agencies, sent in some pics and was offered representation (yes it was that easy) and the next thing you know I am on set doing my first job as a supporting artist - I kid you not! 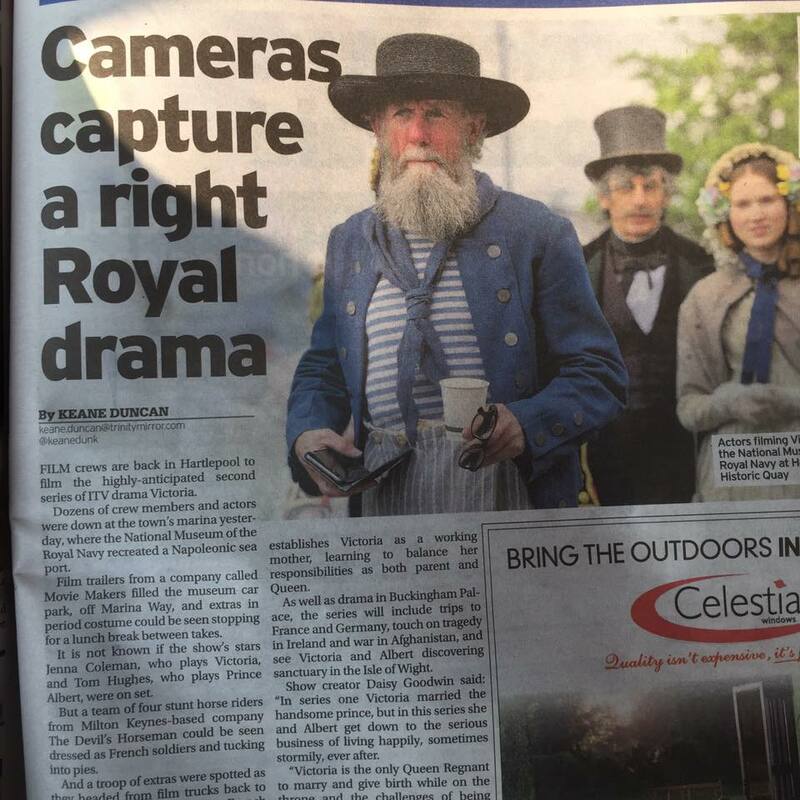 All I knew was that it was period drama and it was my beard that got me the part, obviously! My first role turned out to be in the big budget ITV series Victoria II being shot at the historic quay in Hartlepool. 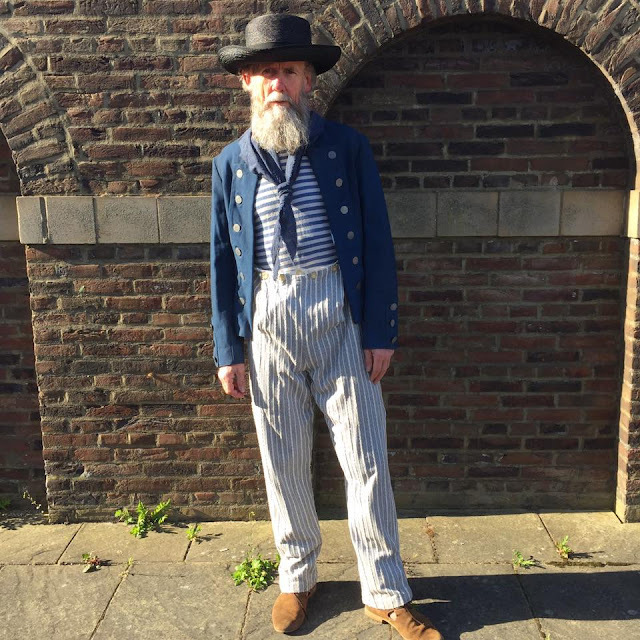 My 'call time' was 07.00 and it was straight to costume to be dressed - as a Victorian sailor! then on to makeup to have a hair piece fitted - even though I was going to be wearing a hat the whole time! As you might expect I have heard every sailor joke and pun in the history of comedy (I have some really funny friends). However, if you think of something original feel free to comment! 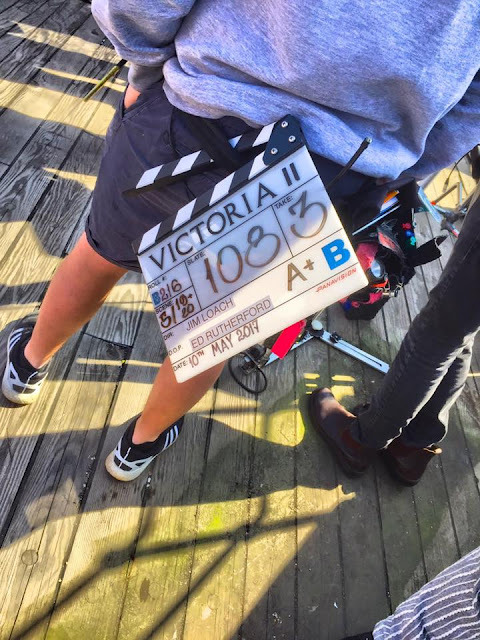 Victoria II is the second series on the life of Queen Victoria, the first series attracted 7 million viewers and was ITVs most popular drama last year. 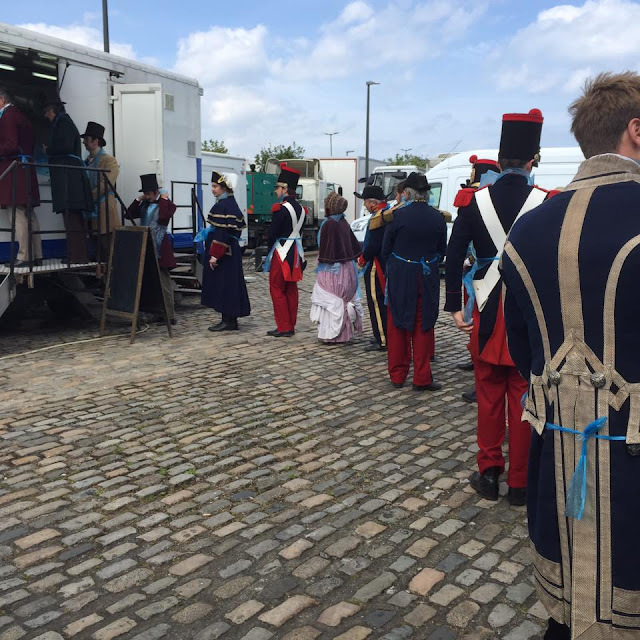 Above - in the que for lunch with French soldiers and politicians and Queen Victoria's lady in waiting. The blue aprons were to protect our costumes from stains - fussy about the details these TV folks. So whats the connection between the two events? (bike crash and acting debut) I hear you ask. Well it was halfway through my first day on set that I got a call from a Consultant at the hospital to inform me that after reviewing my X rays they had realised that I had three fractured ribs - 'thanks for letting me know Doc' but at least I knew why I was in so much pain. My chest had been killing me when the Director was asking me to do 'sailor stuff' on the deck of the ship we were filmimg on. The call came nine days after my May day crash during which time I had tried to continue training, no wonder the pain was getting worse. Come to think of it, I look a lttle bit pained in this picture, but that might have been because my sailor suit was a bit tight. The 101st Indianapolis 500 will be the sixth round of the 2017 Verizon” IndyCar Series season” and the 22nd sanctioned aspart of the Indy Racing League/IndyCar Series. There have been five different winners in the first five races leading up to the Indianapolis 500. The season began March 12 at St. Petersburg, with Sébastien Bourdais a surprise winner.